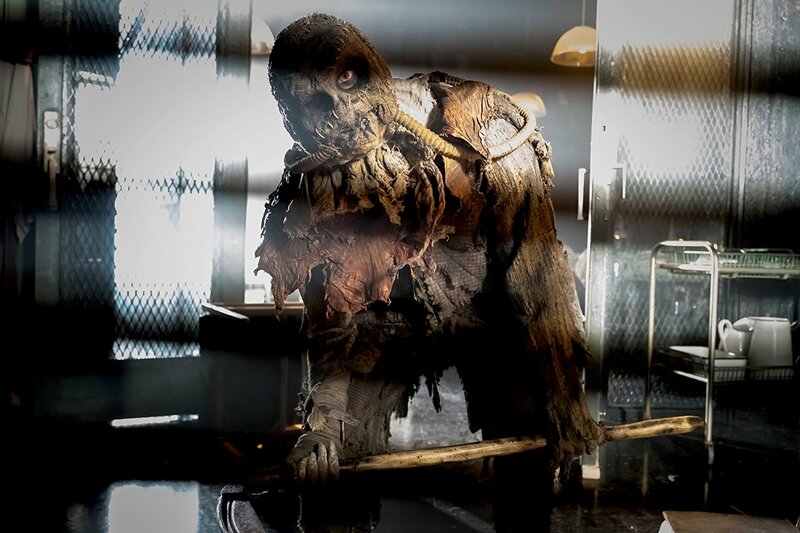 We’d heard rumors late last year that Gotham was looking to recast the character of the Scarecrow, something they’ve done twice now with Poison Ivy. The role so far has belong to Charlie Tahan, who was introduced in the first season of the series as Jim Gordon (Ben McKenzie) and Harvey Bullock (Donal Logue) had to deal with his crazy father, Gerald Crane (Julian Sands). But Tahan returned to start the season with Jonathan being busted out of Arkham to try to make his father’s fear gas. Jonathan ended up embracing the Scarecrow persona and even took on Gordon and lost. A casting announcement has gone out confirming that the part is up for a change, and that it will be a recurring role. They’ve addressed the change in Poison Ivy in two different ways. She was rapidly aged-up by an Indian Hill escapee which took her from Clare Foley to Maggie Geha. And last we saw of her, she was drinking a secret formula to make her more powerful. She hasn’t returned yet, but we know when she does she’ll be played by Peyton List. We’ll have to see just how the show deals with the change in Cranes.